About two million years ago, glacial action scraped the earth and spread Hexagonaria percarinata across the northern Lower Peninsula of Michigan. Hexagonaria percarinata consists of tightly packed, six-sided corallites, which are the skeletons of the once-living coral polyps. The center of each polyp was the mouth and contained tentacles that reached out for food. The hexagon shape of each cell and thin lines radiating out from the dark “eye” in the center are distinguishing features unique to this fossil. The prehistoric fossil is called the Petoskey Stone and is Michigan’s official state stone (est. 1965). 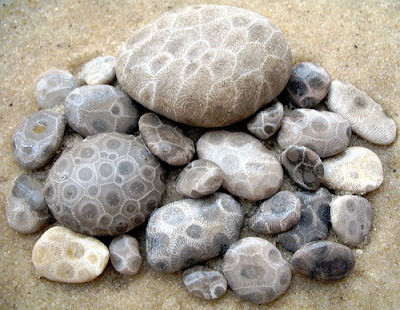 For more information, see http://www.petoskeyarea.com/media-information/petoskey-stone/ or http://www.michigan.org/news/petoskey-stones-search-in-spring. 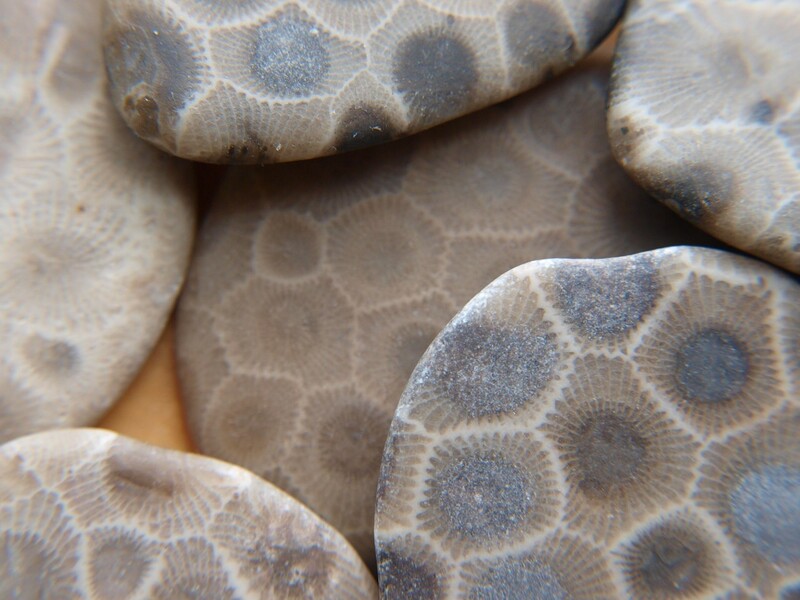 As a resident of Michigan since 2000, I love Petoskey stones and their patterning which inspires Zentangle® play! I challenge you to interpret their patterning in your own unique way. I have included eight tiles that display my version of this special fossil. I began most of my tiles with a grid structure and then created the “eyes” secondly. I used a Pigma Pen 05 for tangling. No shading or color is included in my examples since there are limitless possibilities for personal preferences in this challenge. Please contact me anytime with questions or feedback; www.retreadart.com, Jane Reiter, Artist on Facebook or janereiter@sbcglobal.net. Have fun with your fossils! Fun, and new to me, challenge. Thanks, Jane! I just finished my tile and had a great time drawing it. Thanks for this challenge and also thanks for introducing those beautiful Petoskey stones to us. 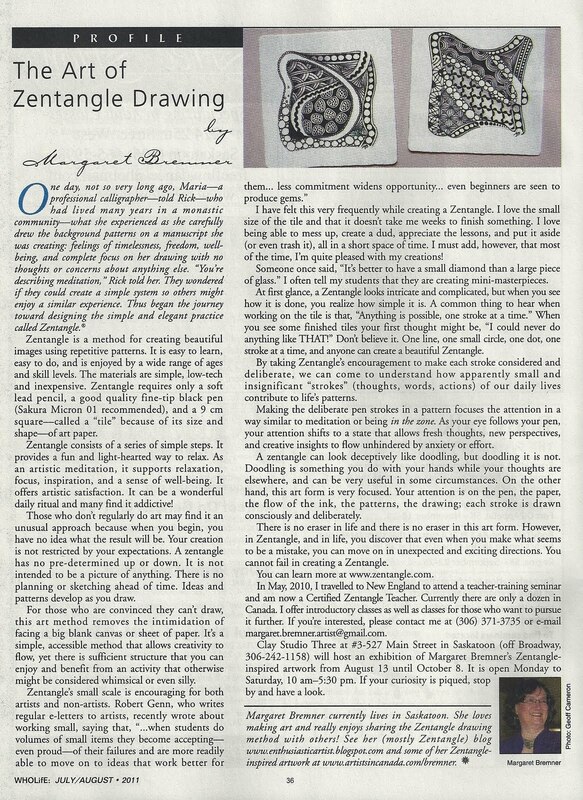 I'm so glad you were the guest host this week to introduce us to these lovely stones. I lived on the Ohio/Michigan border and the Windsor/Detroit border and never heard of them. Fun drawing them. Thank you Jane. I really enjoyed this challenge and wish you all nice Holidays! 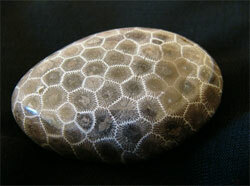 I want a Petoskey stone! But while I wait, I'll continue to enjoy drawing them! Thanks for a fun challenge! This challenge was an eyeopener! Never heard of Petoskey stones! They are so beautiful! Thank´s for a fun challenge!